Join the Vision2BActive Challenge today! Being more active is easy and fun. Improve your health and encourage your family and friends to do the same. RECORD: Take a photo, brief video or livestream yourself being active. Announce that “I accept the Vision2BActive Challenge,” and if applicable, the name of the person who challenged you. Perform a favorite physical activity. Challenge three friends to accept the challenge. UPLOAD: Upload your video or photo to Twitter, Facebook or Instagram as a public post, using the hashtag #Vision2BActive and tagging your friends. * Do you like to walk your dog, ride a bicycle, garden, snowboard, walk around a mall, dance, throw a ball with your child, or practice yoga? Why was the Vision2BActive Challenge started? 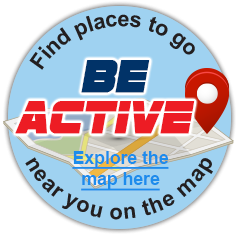 Vision2BActive is an initiative of the Countywide Vision that aims to improve health and wellness in San Bernardino County by encouraging residents to increase their physical activity and connecting them to many opportunities to be active. Regular physical activity can produce a variety of long-term health benefits for people of all ages, backgrounds and abilities. Three out of every four adults and two out of every three youths (age 5 and older) in the county do not get the recommended amount of physical activity. The 2008 Federal Physical Activity Guidelines are 150 minutes a week of physical activity for adults and 60 minutes a day for youths. Launched on January 7, 2017, the Vision2BActive Challenge seeks to inspire the citizens of San Bernardino County to improve their health and wellness by bringing together family, friends and neighbors on social media to share their favorite ways of being physically active and to challenge each other to do more.